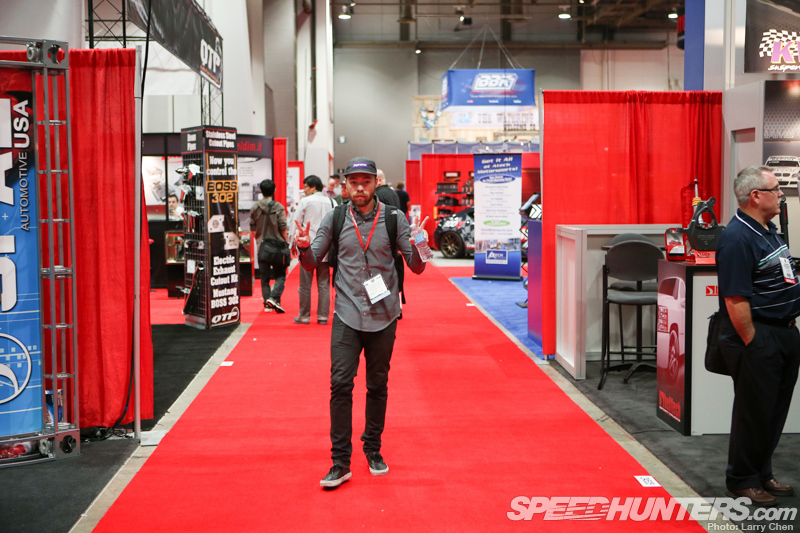 I’d like to run you guys through a typical day at SEMA with the Speedhunters crew, although there was nothing typical about this show. It is interesting, because the show runs through Halloween, many people dress up while they are at the show. 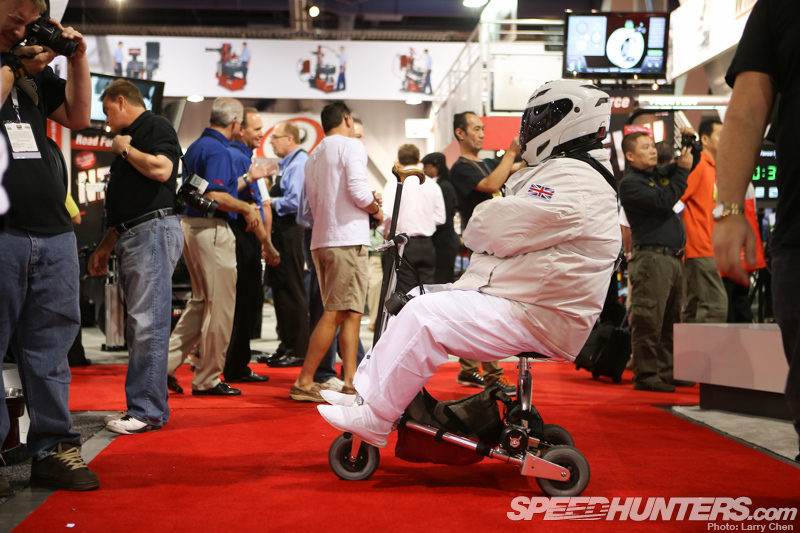 Even the Stig’s retired cousin made an appearance. The crowds are usually pretty massive, but this year I noticed there were not as many people, mostly due to the hurricane on the east coast. Our mornings usually started off with waiting in long lines for bagels and coffee. Everyone had to wait, even spokes models. 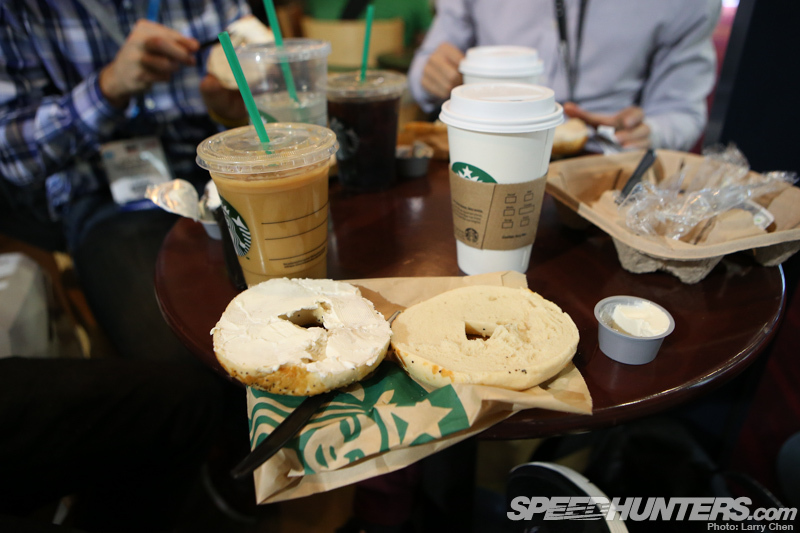 Here we see a mandatory bagel and a pick-me-up as we got an average of about three hours of sleep per night. 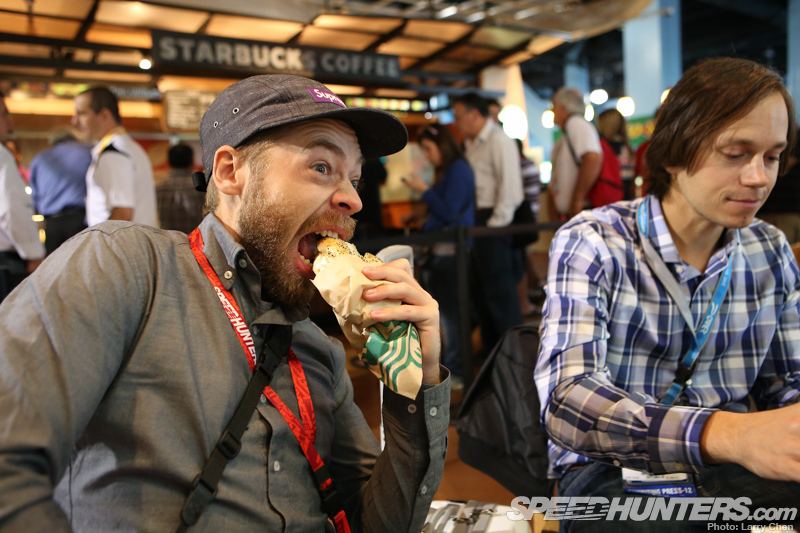 Fellow Speedhunter Sean Klingelhoefer had little time to waste as he has many people to meet and many cars to shoot so he swallowed the bagel whole. Breakfast was also a perfect opportunity to have a proper business meeting with your industry peers. 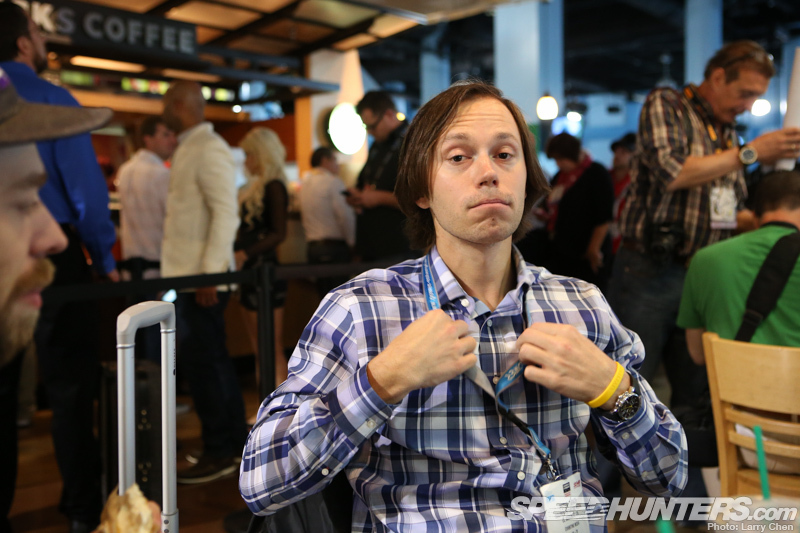 Check out that rock star hairdo from Editor in Chief of Modified Magazine, Peter Tarach. If we were not walking the show aimlessly or taking a nap during a meeting, we were at press conferences. 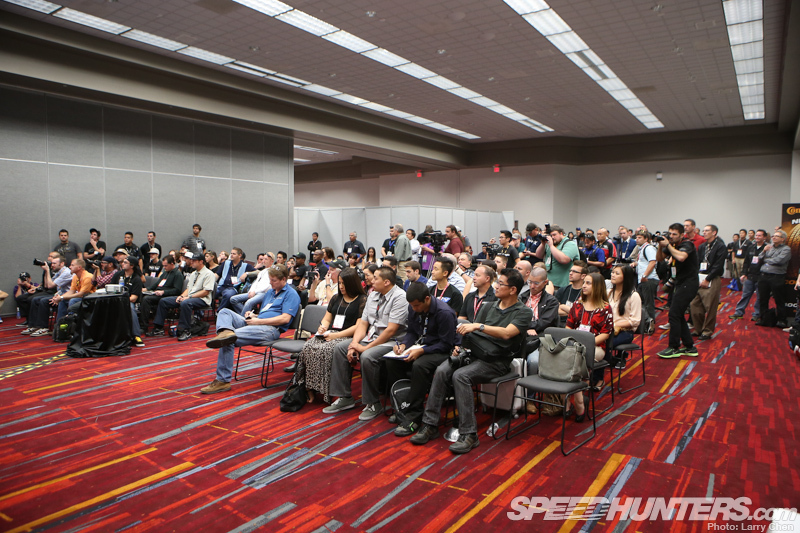 This year’s Formula Drift press conference was short and sweet. Many of the teams and drivers came out to hear the exciting news. 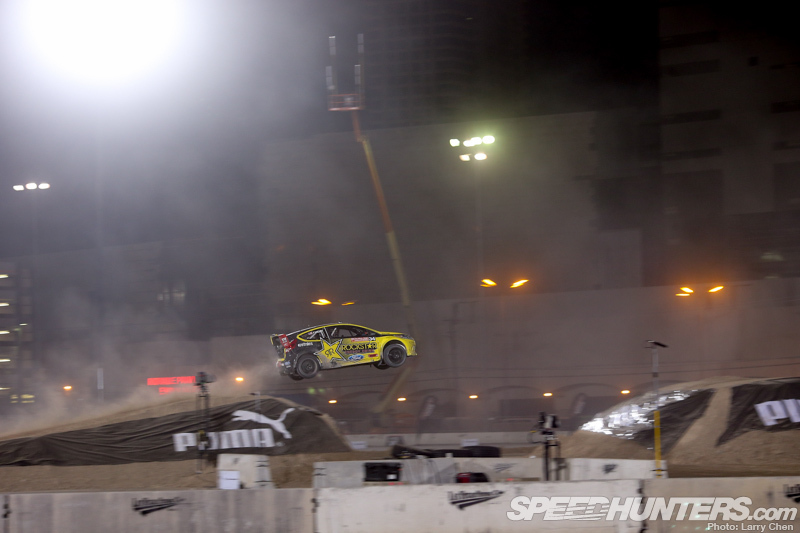 Formula Drift dropped the Las Vegas stop and added a stop in Texas. It was a few hours since we’d had any caffeine so it was time for a break. 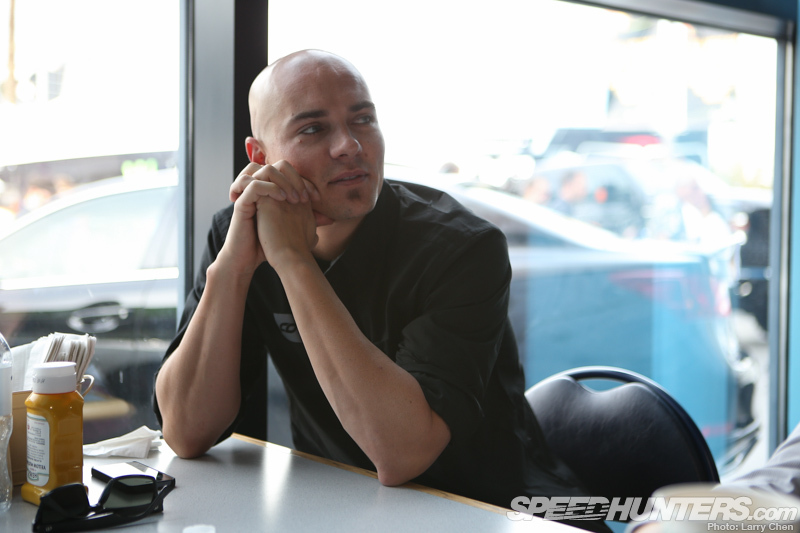 I rarely get to see the Formula Drift staff outside of an event or at the Formula Drift office in Long Beach, so it was nice to catch up. Usually both Jim Liaw and Ryan Sage are on the run or on the phone so I am sure both of the guys enjoyed a much needed coffee break. 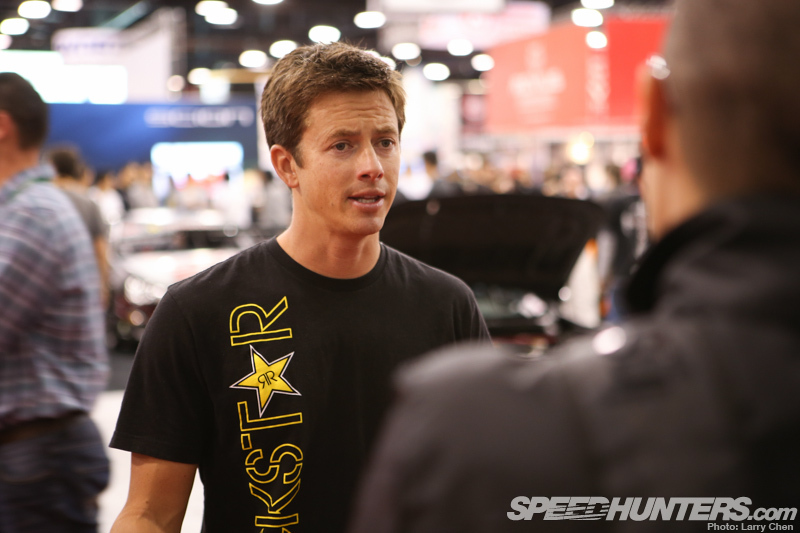 It was nice to catch up with everyone in the industry, including super stars like Tanner Foust. 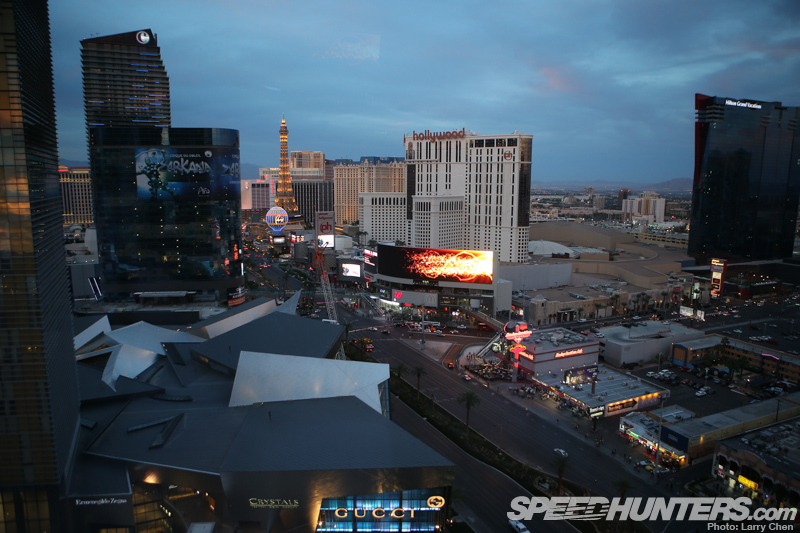 During the show, the Global Rally Cross Championship held their final round just outside of the Las Vegas Convention center. Tanner ended up winning the event and getting first place in the championship. I will touch on the rally action a bit more later on. 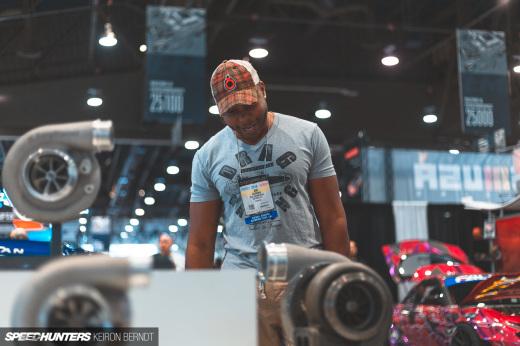 One of the most interesting characters that we met up with was Bisi, the man behind Bisimoto. It’s rare to find any good food at the convention center, and the show food stigma is that it will give you food poisoning. We had to take the risk simply because we couldn’t afford to miss something at the show. To our surprise, we found this vendor selling Indian food. It was the best ‘show food’ I have ever had and I have yet to get sick! So we chatted about the good old days of illegal street racing in Los Angeles with Bisi and he told us how he started. The gentleman sitting between his Rodness and Bisi is Andy Barnes, the original founder of Sumo Power. It’s so crazy to me to think that Bisi started racing on the streets and now he is building monstrous cars like this Hyundai! Of course my favorite car of his is the shuttle. 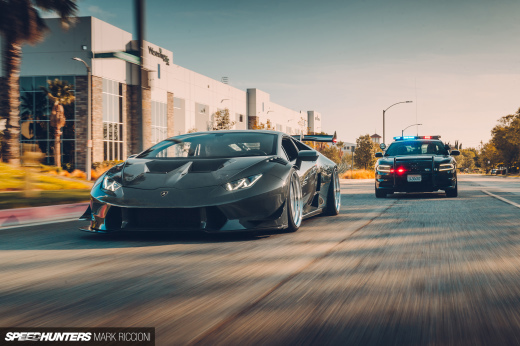 More recently he got much notoriety for tuning Porsches. Bisi’s story needs to be told in depth so keep an eye out for an interview. The rest of the day was perfect for walking around and checking out what the show had to offer. I met up with Linhbergh and he had this look on his face. He was explaining to me that SEMA is where trends come to die. If it shows up here that means it has made it to the main stream. I don’t know if is entirely true as there is so much experimenting going on. 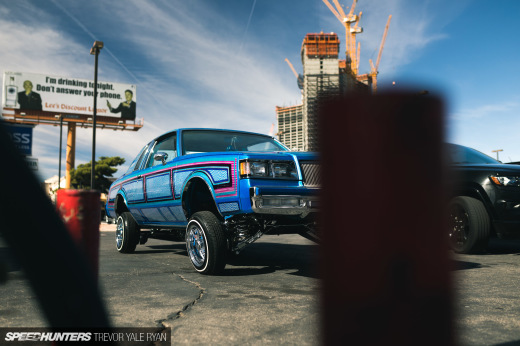 I bet many of the builders don’t know if the car they spend countless hours on will be well received. It was interesting to see this S14 in the Dsport magazine booth. This style of tuning is very specific to North America as the KA24DE mostly came in trucks in Japan. We pioneered the use of this motor in turbo applications. We would get our last shots in before being ushered out at the end of the show. 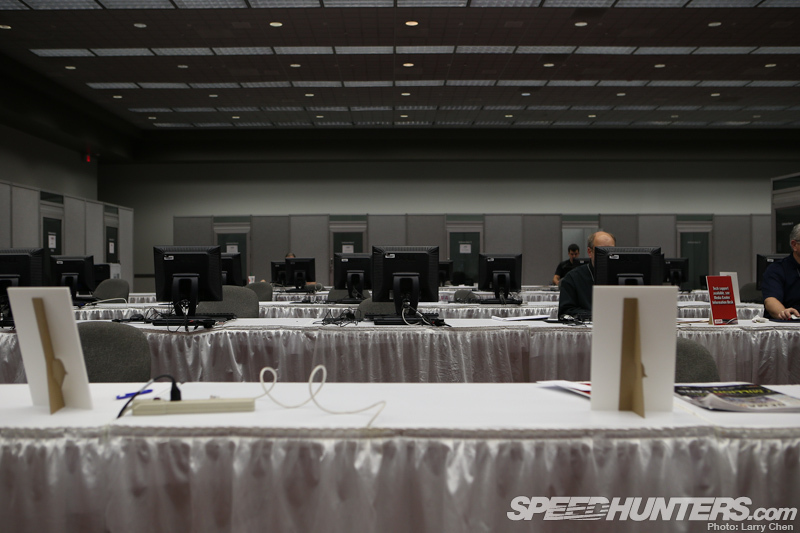 It seriously is a ghost town in the media center. I guess that goes to show how many members of the automotive media are from the East Coast. 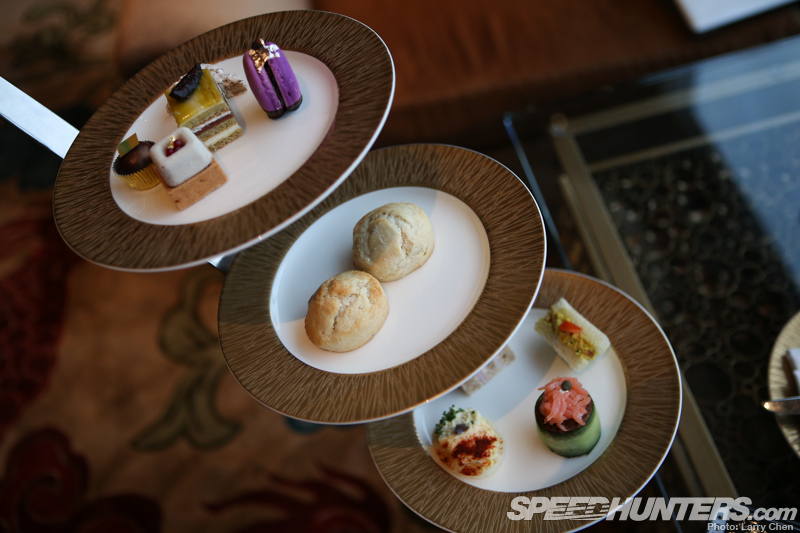 The team headed over to the Mandarin Oriental for afternoon tea and dinner. This was a last ditch effort to squeeze in just one more meeting. 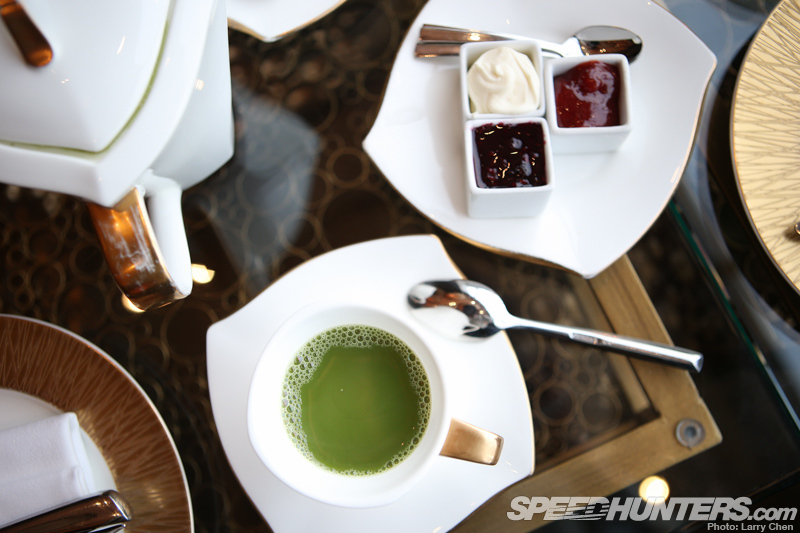 Of course enjoying some scones was an added bonus. The god father of American drifting, Vaughn Gittin Jr., showed up with his wife Abigail, and Jarod “the voice of Formula Drift” DeAnda. 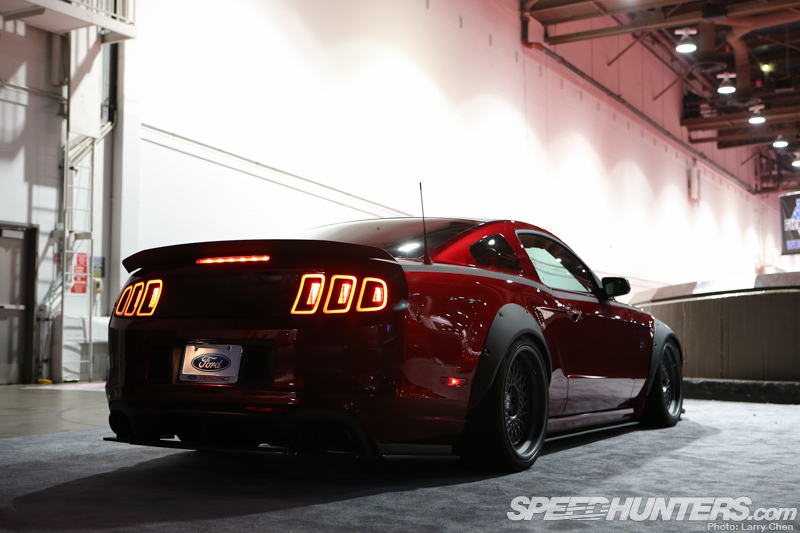 I pressed record on my camera as Vaughn, Rod, Jarod, and I talked about the Ford Mustang RTR. I had the pleasure of driving one on the east coast a few months back and Rod had the same opportunity just a few weeks ago at the Formula Drift finals. We thought it would be interesting to have a little group discussion, so keep an eye out for that article as well. As the day came to an end there was a brief moment when the hunter became the hunted. Damn that was some good tea. I can’t imagine any other place in the world hosting such an event. It’s almost surreal. 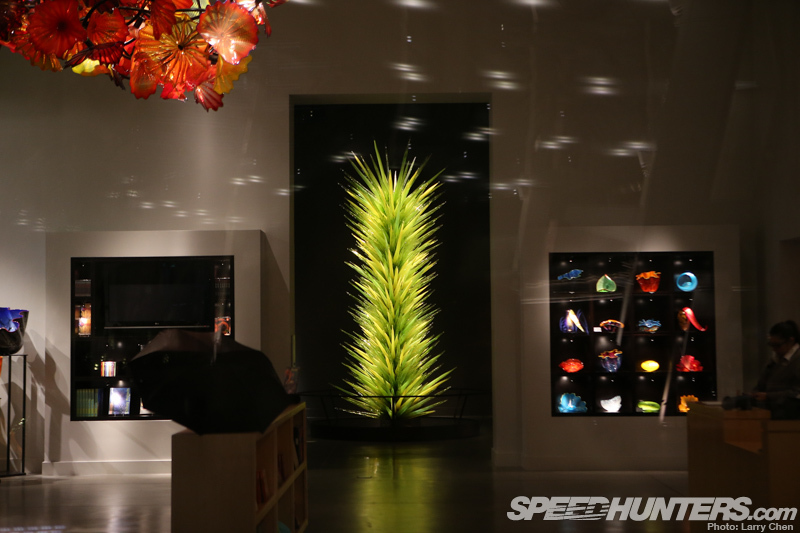 As we walked back to our hotel rooms Jarod explained to us the fine art of blown glass. Who would have known he was such an expert? Some of us don’t make it back to our hotel rooms till the wee hours of the night, if at all, but come 7am the next day it starts all over again… for three more days. Wonderful. 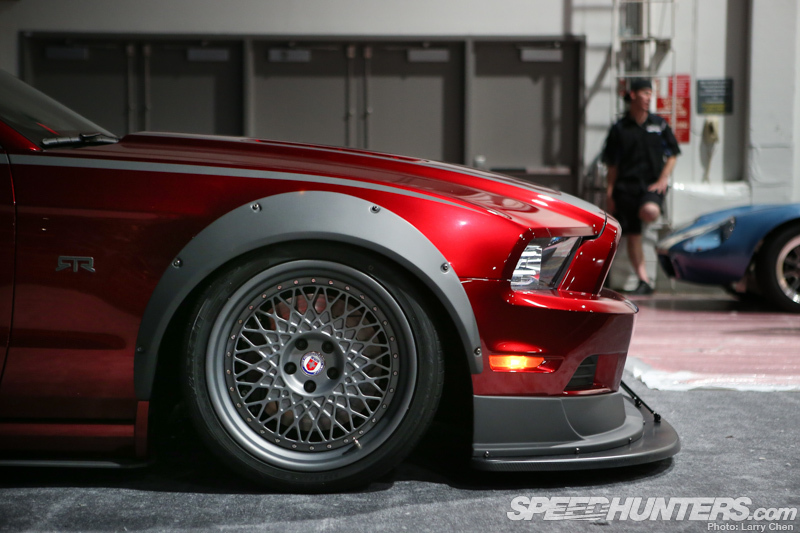 Great feature I have to get to SEMA one year, it just looks awesome. 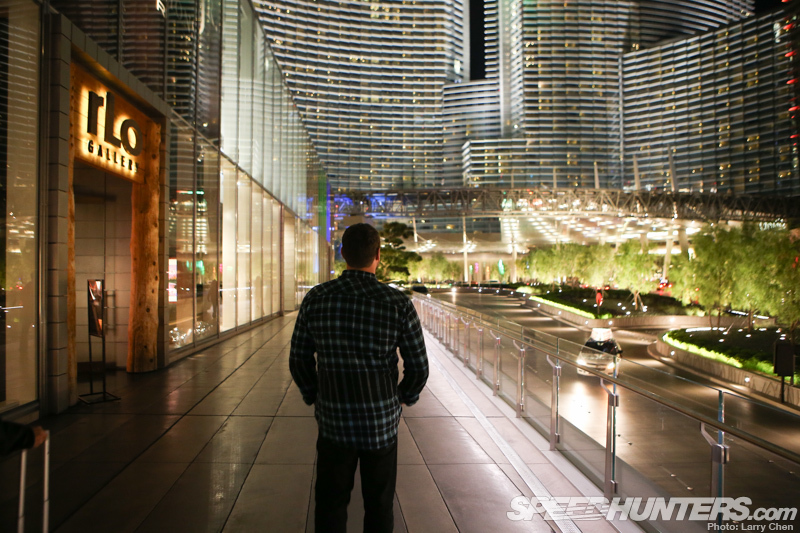 The coverage on Speedhunters has been second to none! 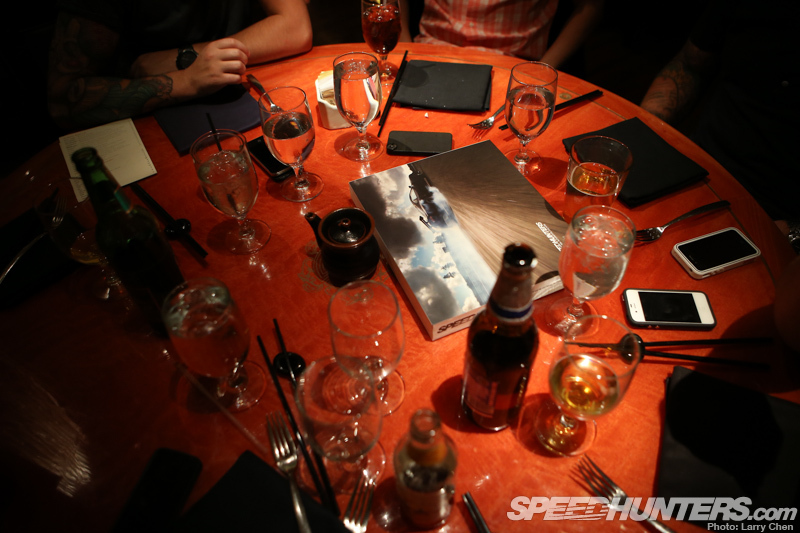 Visiting Speedhunters to see cars, see a full article of Individuals i never heard/care of, and food. What a waste of bandwidth. What is the Helmet's brand of the "fatty" stig ? You have Bisi most recently tuning "Porches" probably meant "Porsches"
some people like cars. I like people who like cars. I like community. I also like cars, but this is what it's really about. Just hanging out with a bunch of friends and doing something different. Surreal is the best word for it. 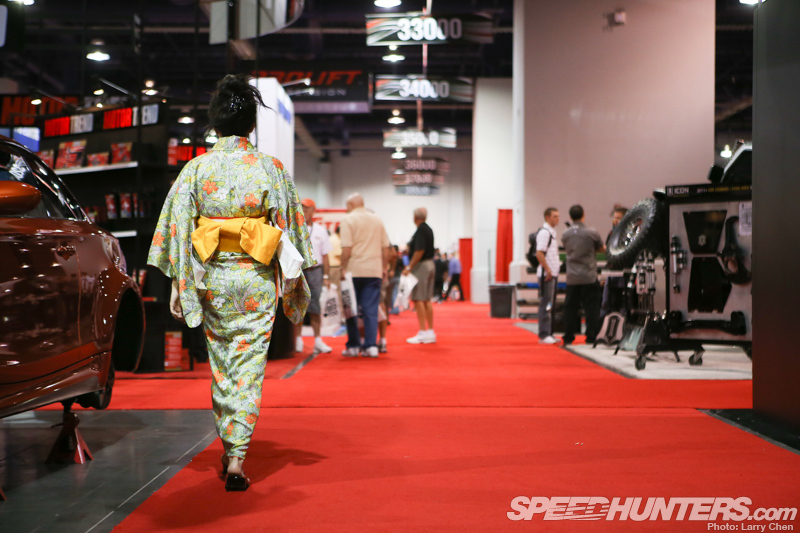 I am always blown away by the Mecca that is the SEMA show, and hope that one day I can attend and have my mind blown in person. @d15b2 More to the car scene then just the cars. Sometimes you just have to talk to people in the industry. 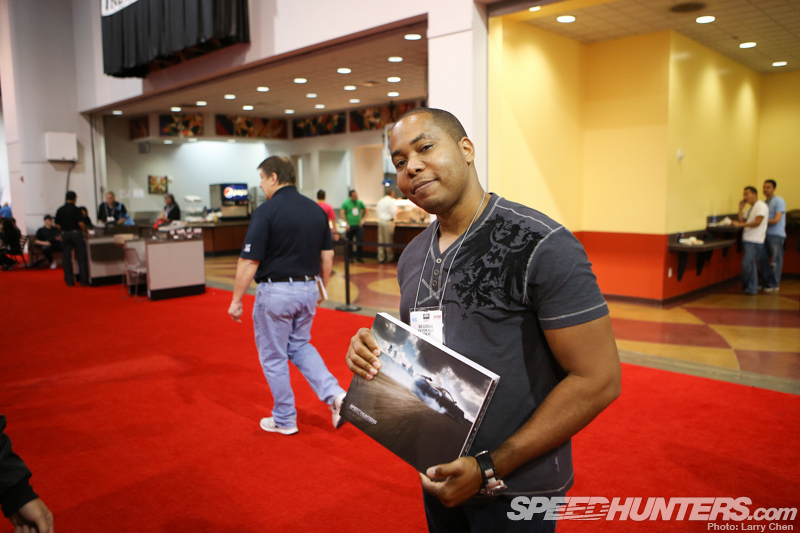 is that a shelby daytona coupe in the background??? Can't wait for the bisi interview that guy is a god! I would insert the "Meanwhile at OP's birthday picture" if I could. Love the 'behind the scenes' looks at what you guys do. You have awesome jobs! Mr Chen! Seriously! Your photography is amazing, especially at night! What? 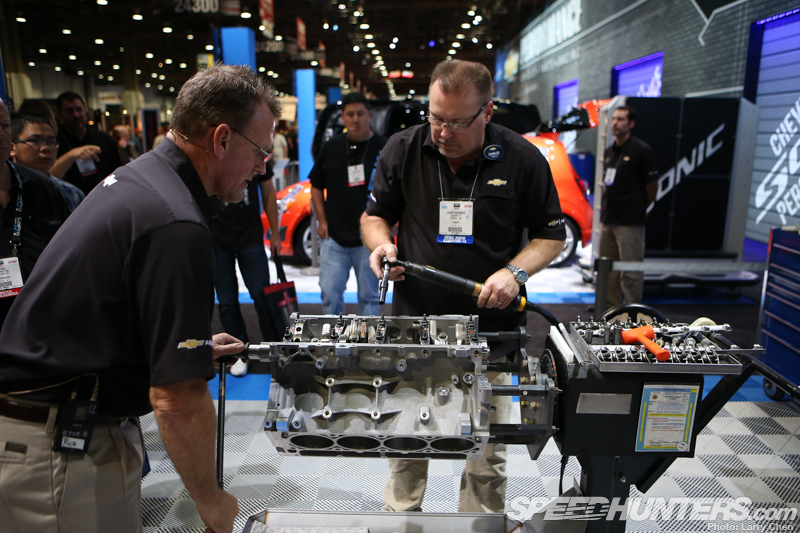 No more FD in Vegas? @jayr Yeah, It is crushing for all of us. It is kind of local to me. @BlackJacket Tanner is so dreamy. They will be released soon. Just make a trip out of it. It really is something you have to see in person. 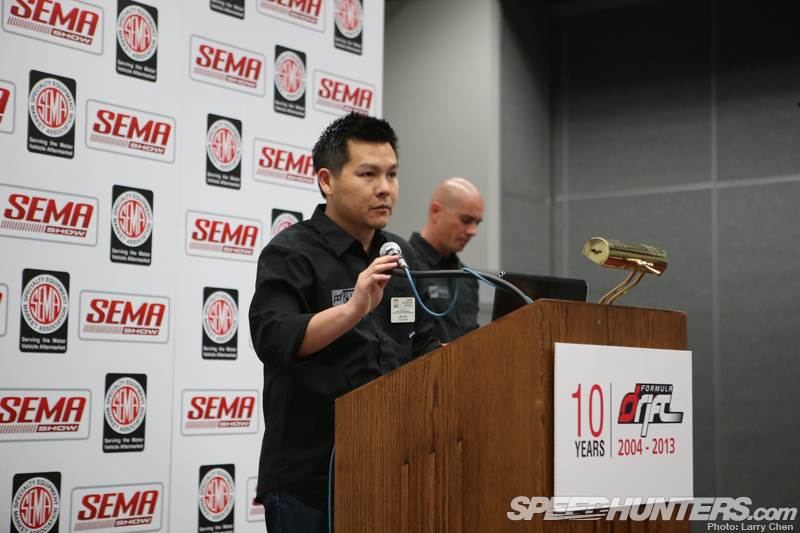 I'm guessing we can expect an interview with Jim Liaw & Ryan Sage about how Formula D has progressed and the recent "changes" within it, Mr Chen? @Baljit Singh What changes? They just moved a round to Texas. Is there something I don't know about? @LouisYio @RodChong they've been giving him nicknames for years now. Supreme hat - uniform for hipster photographers everywhere. 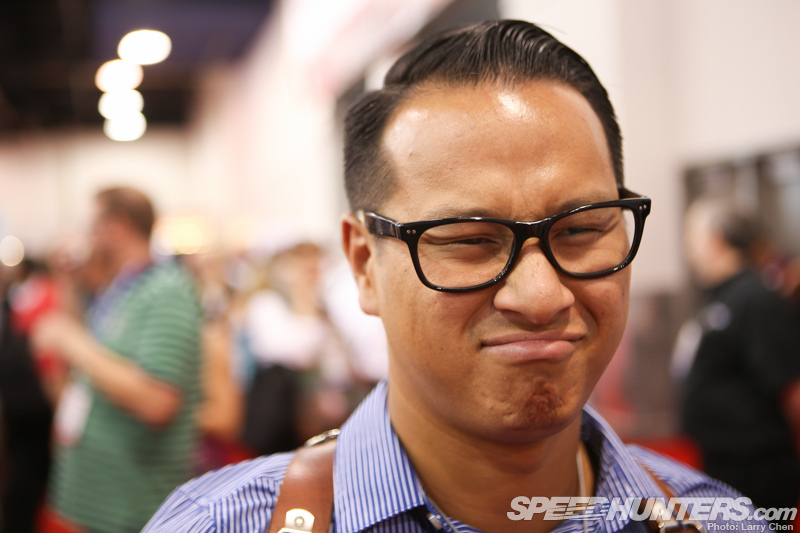 "I met up with Linhbergh and he had this look on his face. He was explaining to me that SEMA is where trends come to die. If it shows up here that means it has made it to the main stream."